Forget about the Republican “war on science,” this presidential contender’s got a problem with universities focusing on public service and veracity. UPDATE (2-3-15) 5:30 pm: Facing sharp criticism for proposing to abandon the University of Wisconsin’s public-service mission statement, as outlined in state statutes, Wisconsin Governor Scott Walker on Wednesday afternoon abruptly dropped the plan. Criticized for attacking the Wisconsin Idea and the state’s historic commitment to academic inquiry, the all-but-announced 2016 presidential candidate shifted course less than twenty-four hours after making his proposal, which came as part of a broader assault on higher education funding. Walker claimed the line-by-line proposal for changing the statutes was a “drafting error.” The following article provides background and context regarding the prospective presidential candidate’s stumble. Americans have returned to the question of whether the Republican Party has launched a “war on science”—as 2016 presidential prospects Chris Christie and Rand Paul have abandoned public-health imperatives in order to feed skepticism about whether children should be vaccinated against infectious diseases. 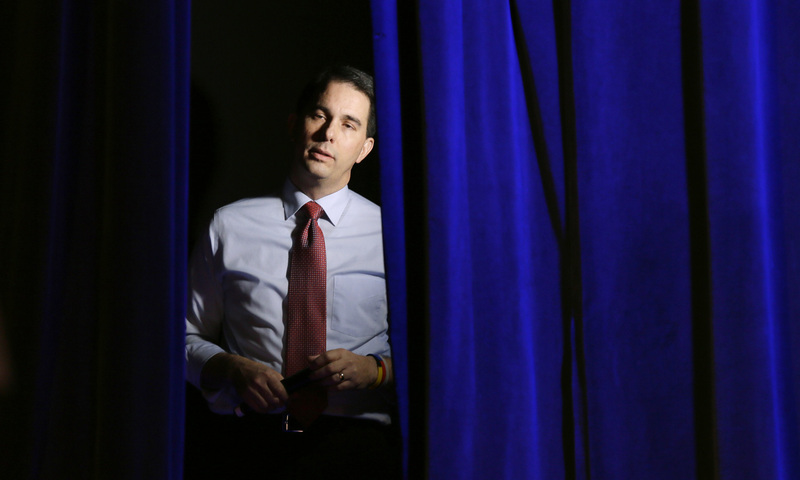 But Wisconsin Governor Scott Walker has trumped his fellow 2016 contenders. Walker is launching a war on the truth. The Wisconsin Idea, which is much discussed but not always so much understood in the present day, has always been always been about seeking the truth, and about applying the results of that search not just to curriculum choices but to the policies and programs of the state. The Wisconsin Idea has always held that democracy requires an informed and engaged citizenry, and that academics and researchers should pursue the truth in order to serve that citizenry. Walker has never made a secret of his disdain for Wisconsin’s progressive heritage, and his policies have evidenced his disregard for the Wisconsin Idea. But disdain and disregard are one thing. Eliminating references to “the search for truth”—and to using that truth to “improve the human condition”—is something else altogether. There were many incidents that helped to forge Wisconsin’s commitment to freedom of inquiry and to the use of the inquiry to serve students and the state. The most famous of these came in the 1890s, when state officials pressured the UW to remove Professor Richard T. Ely from his position as director of the School of Economics, Political Science and History at the University. The charge was that Ely was too engaged with efforts in the community to improve social conditions and to expand the rights of workers. The controversy was as bitter as it was intense. But ultimately the UW Board of Regents rejected the pressure to limit the school’s search for truth and its engagement with the issues and challenges facing Wisconsin. The Wisconsin Idea has always been about the search for truth, at the UW and beyond. When Scott Walker attacks that search, he attacks not just the UW but Wisconsin; not just public service, but the pursuit of truth in service to the public.